Below you can view all the condos for sale in the Flats At West Village subdivision located in Smyrna Georgia. Listings in Flats At West Village are updated daily from data we receive from the Atlanta multiple listing service. To learn more about any of these condos or to receive custom notifications when a new property is listed for sale in Flats At West Village, give us a call at 404-998-4102. 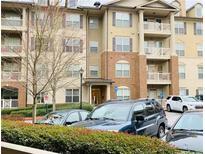 Easy Access To 285 Makes It Convenient To Hartsfield, Buckhead And Much More! MLS#6537804. Keller Williams Realty Atl North. Minutes From New Braves Stadium, Silver Comet Trial, Mercedes-Benz Stadium,Airpot,Downtown, Bulkhead In Amazing Smyrna/Vinings!Central Location Close To All Attractions Atlanta Has To Offer!! ! MLS#6506006. Georgia Premier Realty Team Inc..
Minutes From New Braves Stadium, The Battery Atlanta, Silver Comet Trail, Mercedes-Benz Stadium, Airport, Downtown, Buckhead In Amazing Smyrna/Vinings!! ! 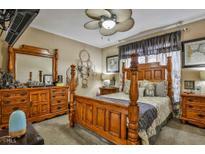 MLS#8523733. Palmerhouse Properties. Minutes From New Braves Stadium, The Battery Atlanta, Silver Comet Trail, Mercedes-Benz Stadium, Airport, Downtown, Buckhead In Amazing Smyrna/Vinings!! ! MLS#6124877. Palmerhouse Properties. Entertain Or Simply Relax Warming Up With Abundant Natural Light In The Day And A Switch Activated Fireplace For Those Cool Intimate Nights. MLS#6104087. Atlanta Communities. Entertain Or Simply Relax Warming Up With Abundant Natural Light In The Day And A Switch Activated Fireplace For Those Cool Intimate Nights. MLS#8489890. Atlanta Communities. This Is A Great Live/Work/Play Community With Great Access To Airport And Downtown. MLS#8489777. Keller Williams Rlty First Atl. This Is A Great Live/Work/Play Community With Great Access To Airport And Downtown. MLS#6102207. Keller Williams Rlty, First Atlanta.